Saving money is one thing, but investing cash is something totally different. When you invest, you’re doing so with the purpose of getting additional money added to what you’ve saved. While saving $50 gets you $50, investing $50 could give you $55, $80, or even $100 or more, depending on the type of investment. Investing really is the best way to go if you don’t mind taking a bit of a risk to get more money in the end. But investments aren’t typically a quick deal. You could invest cash and have to wait years before you see a significant return on the money you invested. Short-term investments, on the other hand, may not yield as much of a return, but they’ll get you that extra money quicker than traditional investments. Do you think short-term investing could be the right financial move for you in 2019? Read on to learn more about what it is and how to do it. What’s a Short Term Investment? The term “investment” usually makes people think of tucking away money for years or decades so that they’ll have extra money available in addition to their investment in the future. That’s essentially what long-term investments are. However, there are also short-term investments. Like the name suggests, these types of investments are better for people who want a quicker return. Short-term investments usually provide a return in about 5 years or less, with some even taking as little as 1 year to give you extra growth on what you invested. If you know you want to take a vacation in two years, or maybe send a child to college or buy a home, then short-term investing could give you some extra money to reach your financial goals. 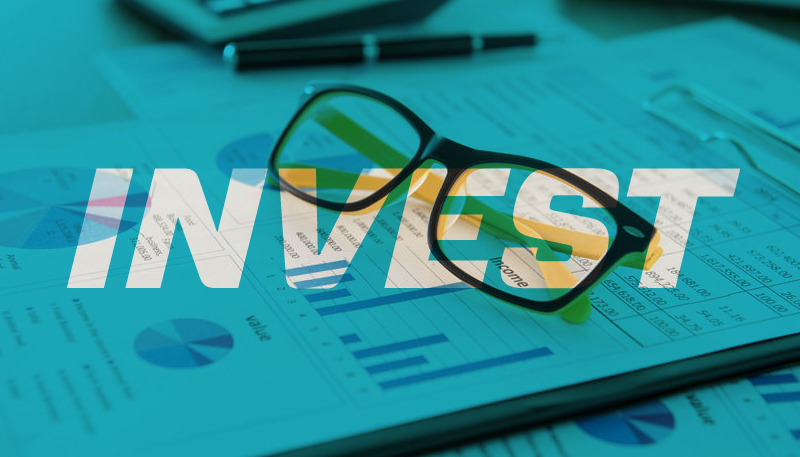 We don’t suggest using short-term investments to save for things like retirement or future healthcare needs; these are best left for long-term investments that can yield much better results. Short-term investing does carry some risks like any other investing, but it’s generally less risky. There are also short-term investing options that don’t have any risk at all and will simply grow your money with an interest rate. You’re obviously looking to get the best return for your investment in as short a time as possible, which is why you’re reading this right now! So, I’ve dug up 10 of the best short-term investment options for your cash in 2019. Use just one or a combination of a few of them to boost your earnings from everything you invest. Paying down your debt is one of the most financial-savvy decisions you can ever make in your life. The way most credit cards work is that they give you a minimum balance every month that just barely covers your interest, therefore keeping you in debt for what seems like an eternity. If you pay off more than your minimum – as much as you can spare – you’ll work yourself out of debt much faster. Unfortunately, you’re still paying interest, so it’ll take you longer than it would to just pay your principal balance. Once you pay off everything that’s keeping you in debt, you’ll have more cash to spare, save, and invest as you please. Want to pay off your debt as fast as possible? Look for a credit card with a $0 interest rate for a promotional period of at least 12 months (some are even as much as 15 or 18 months!) to transfer your balances to. The best credit cards for this also include no (or very low) transfer fees and no annual or maintenance fees. During that promotional period, you can pay off your debt without new interest getting added. As long as you pay it off during that time, you won’t incur any new interest and you’ll be debt-free faster, leaving you more money to spare for things you need and want. A high-interest savings account is sometimes also referred to as a high yield account because it yields a high return on your investment, at least compared to traditional savings accounts. An online high-interest savings account is usually extremely simple to get set up and it gives you access to your money when you need it through its online access. A high-interest savings account can have anywhere from a 1% to 2% interest rate, and sometimes more. Try to find one as close to the 2% mark or higher for the best results. This is an excellent option for people who have a good amount of money, like $1,000 or more, to invest and plan to save more each month. The best part about these accounts is that you can usually withdraw money if you need to, but you might need to make sure a specific amount is left in the account as your minimum deposit. SmartyPig is one service you can try with interest of up to 1.80% for its savings accounts. It also offers automatic savings plans for you to set how much you’d like to save, and when, and SmartyPig will automatically transfer it for you. Money market accounts are basically a mix between checking and savings accounts. You can use this type of account similarly to how you would a checking account in the sense that you can use checks, deposit money into them, etc. However, the bank will usually require you to hold a minimum amount in the account, unlike most checking accounts where you can get to $0 and not get a penalty fee. On the plus side, you’ll typically get a higher interest rate from these accounts than you would even a high yield savings account. And, you won’t have to wait to withdraw money after a certain amount of time like some other investment options; use your money market account how you see fit and have access to the cash inside when you need it. Some credit cards offer incredible ways to make extra money. But using a credit card to invest is only a good option for people who know how to use credit cards wisely! Otherwise, you could end up with a bunch of debt you never intended to have, which won’t do you much good when you’re trying to make money. Credit cards with bonuses might pay you $300, $500, or even more when you make a specific dollar amount of purchases in the introductory period, which is usually about three months. If you meet the requirements, you’ll get your bonus; some cards offer it as a cash bonus straight to your bank account. If you’re going to use a credit card anyway and are smart about paying it off quickly, then this can be an excellent way to earn money just by doing your regular shopping. Rewards cards also can help by giving you cash bonuses for specific purchases. You’ll basically make money on what you spend, usually between 1% and 5% cash back. Do you love helping others when you have the means to? Then you might want to try peer-to-peer lending, which can help both you and the person you loan money to. Peer-to-peer lending helps people get the money they need without going through a more traditional process, like borrowing a loan from a bank. Instead, several investors help to fund that loan. With this process, you’ll invest in a note, which is basically a portion of a loan someone requests. You can invest just a small amount, like $50, which will go toward funding that loan. You’ll get your note back, plus interest, after the person pays off the loan. You can have several notes out at once, funding various loans to create your portfolio. The downside is that you’ll typically need to wait between 3 and 5 years to see your return, so this isn’t the best idea for those looking for quicker short-term investments. If you want to get started, try Lending Club. You can start with just $1,000, divvied up into 40 notes of $25. A Roth IRA is a type of retirement account that lets you invest your after-tax income and doesn’t require you to pay taxes on your withdrawals after age 59 ½. In other words, it’s one of the best ways to invest to ensure that Uncle Sam doesn’t take some of your hard-earned money when you reach retirement age. So how, then, is it a good short-term investment too? With Roth IRAs, you can withdraw your funds when you need to. Yes, you’ll need to pay a penalty if you do so. But you also get more interest with a Roth IRA than you do with other accounts, so your money should steadily build up faster, too. Many people use these accounts not just as retirement savings, but also for emergency funds because they’re allowed to access their money when they need it. A certificate of deposit, also known as a CD, is a deposit you’ll make with a bank for a specific amount of time. They work kind of like a savings account, giving you interest on your deposit. However, the bank will hold that money for the full length of the agreed-upon term, so you won’t be able to access it. On the maturity date, or the date you’re allowed to withdraw your CD, you can get your full investment plus interest back from the bank. The longer term you pick, the better the interest rate will be, but you can opt for a 3-year CD and still get around 2% APY. Online checking accounts seem to quickly be beating out traditional bank accounts in popularity. They’re easy to use, allow for online access to your cash, and some even offer interest on your deposits. Capital One 360, for example, has both online checking and savings accounts. Some of its checking accounts have interest rates – albeit, somewhat small – that tack on extra money for whatever you have sitting in your account. Since it’s a checking account, you’ll have access to that money whenever you need it via checks, your debit card, or online transfers. You can also look for other financial institutions that offer bonuses when you open a new checking account. These bonuses will typically be somewhere between $100 and $300 just for opening the account and making some purchases within your first month or two. Leave that bonus cash in your account and allow it to grow some interest! A robo-advisor is what it sounds like: An automated financial advisor that’s smart enough to know how to invest your money for you. They’re great for beginners who don’t really know where to start when it comes to investing. You’ll typically pay the robo-advisor a small fee to manage your portfolio and it’ll do the rest with the deposit you have to invest. Some advisors, like Betterment, don’t even require a minimum account balance, so you can feel at ease investing what you’re comfortable with. Betterment also allows you up to one full year of free account management with your qualified deposit. When you sign up to these services, you can typically outline your goals to specify that you’re looking for short-term versus long-term investments. Apps can also help you save for short-term goals. Acorns, for example, automatically invests spare change whenever you make a purchase with your linked accounts. If you pay for something that costs $41.60, Acorns rounds it up to $42 and invests that $0.40. It doesn’t sound like much but doing this every time you buy something will add up over time without you paying it much thought. You can start by depositing just $5. Stash guides you along the way to making the smartest moves for you based on your goals. You can also set up automatic savings deposits for Stash to get on a schedule of transferring investment cash into your account. Any cash that shows in your withdrawable amount is cash you’re allowed to take out whenever you want. Read More: Huge List of 132 Android and iPhone Apps That Really Pay You Money! I hope this article helps you find some short-term investments that’ll help you reach your most important financial goals fast. The best part about these investment options is that they require little to know knowledge of investing. They’re simple, straightforward, and incredible options for beginners to get on track with their finances and save for important goals. Have you used any of the above investment options? We’d love to hear more about how they worked for you.